Has it ever happened to you? After a long wait, you finally get that call on your iPhone and you miss it because your hands were dirty. I know people who would not want to spoil their iPhone screen by touching it with dirty hands, and thus risk an important call. Thankfully, Apple has now come up with a solution for this so you don’t need to miss your important calls ever again. Now you can automatically answer calls on iPhone running iOS 11. Apple has come up with a really useful remedy for this age old problem, however, not everyone is aware of this hidden feature. With this highly useful hidden feature in iOS 11, you can now be assured that you will never again miss an important call. How is that possible? This feature allows you to automatically answer the calls without you having to actually take the phone in your hands or touching the screen. This comes as a really handy option when you are not in a situation to manually accept the phone in the standard method. 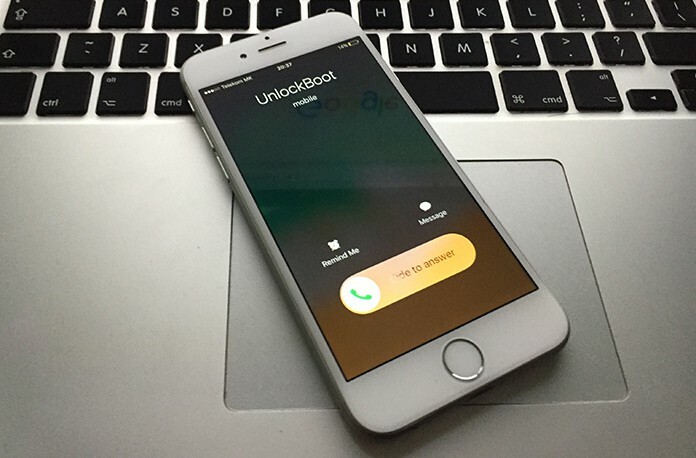 This feature is known as ‘Auto-Answer Calls’ and you need to first activate this feature in order to start using it. After you have updated this feature, you will be able to go about your day to day activities with ease. You will not have to ever again worry about a call going unattended because you will be able to take them all even without touching the screen. To activate this feature on your iOS 11, you need to follow a few simple steps. So, head over to the settings on your phone to get started. You will see that the ‘automatic answer call’ functionality is not located under the ‘Phone’ settings. You will have to go to General, then select Accessibility, then select Call Audio Routing, then choose Auto-Answer Calls. Alternatively, you may also choose to carry out a search in the settings area to look for ‘Auto-Answer Calls’. This is a much easier way to find this option. After the Auto-Answer Calls feature has been activated, you may then move forward to make other required adjustments. You may adjust the number of seconds you would like the iPhone to wait before activating the Auto-Answer Calls feature. You can increase or reduce the time by using the simple plus and minus buttons. After this hidden auto answer call feature has been enabled, you will be able to accept calls automatically without having to touch the screen. 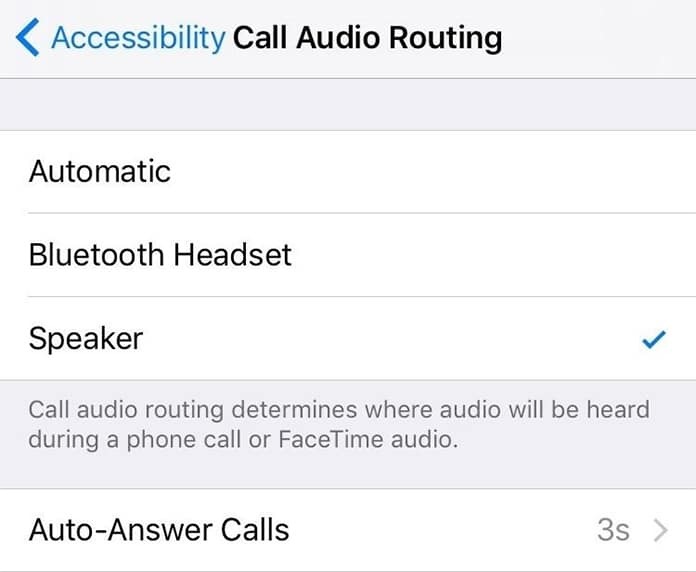 Now the Call Audio Routing has been set to ‘Automatic’ as its new default so it may use the built-in speaker of your iPhone or divert calls to any hands-free device used by you. You can either route the calls to a Bluetooth Headset or a hands-free vehicle friendly device to answer the calls when you are driving. 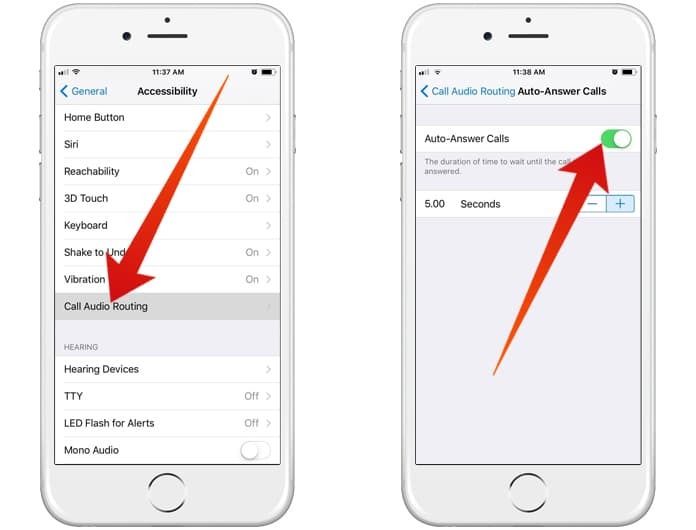 If you choose the ‘Speaker’ option, it will direct the calls to a Bluetooth device or wired headphones so you can take the call without touching the screen of your iPhone.